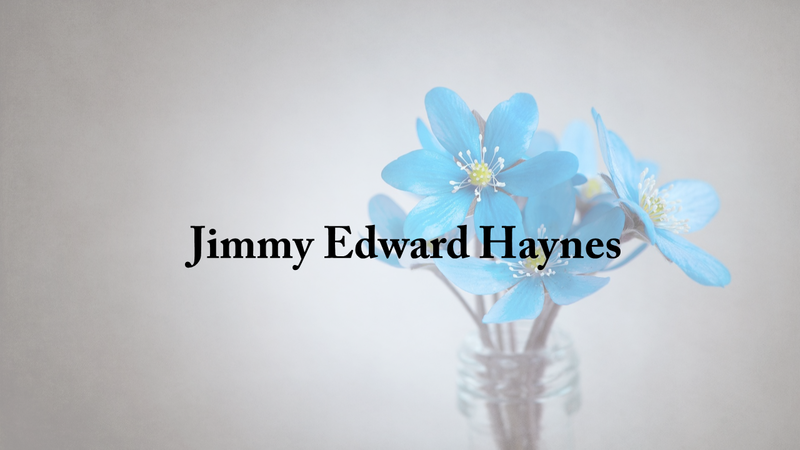 Funeral service for Jimmy Edward Haynes, 58, of Cullman, will be at 2 p.m. on Saturday, March 2, 2019, at Cullman Heritage Funeral Home with Randy Sellers officiating; interment in Holly Pond Cemetery. Mr. Haynes passed away on Feb. 27, 2019, at his residence. He was born Jan. 6, 1961, to Roy and Ruby Haynes. He is preceded in death by his parents and brother, Jerry Haynes. Survivors include his wife, Janice Peak Haynes; sons, Zach (Melody) Haynes, Levi Haynes, Jeff Sandlin, and David (Stephine) Sandlin; daughter, Teri (Jon) Moffet; twelve grandchildren; brother, Terry (Mary) Hurst; and a host of nieces, nephews, family and friends. Visitation will be from 6-8 p.m. on Friday, March 1, 2019, at Cullman Heritage Funeral Home.